MBChB (Otago 1990) FRACS – Otolaryngology, Head and Neck Surgery (2000) Member: NZSORL, Australasian Academy of Facial Plastic Surgeons (AAFPS). Visiting Consultant Nelson and Wairau Hospital. 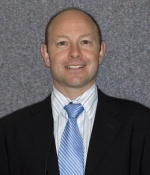 After completing his medical degree in Otago/Christchurch, Mike Roberts spent time in Perth (Western Australia), Christchurch and Tauranga gaining experience in a variety of surgical specialities, before undertaking advanced surgical training in Otolaryngology (ENT) in Wellington, Otago and Christchurch. Two years consultant work in Edinburgh were followed by a return to Nelson. Mike’s areas of special interest are Paediatric ENT, General Otolaryngology-Head & Neck Surgery, Sleep/Snoring medicine and Facial Plastics. It is appropriate for potential patients to contact Mike Roberts directly.